Our items are not cheap - but we consider that they do offer excellent value for money. We buy in bulk from trusted suppliers in America, who we have been able to negotiate special discounts with. We truly do believe that it is not possible to sell authentic items for less. If you see someone selling items for cheaper ask yourself how and why? Are they likely to have met the celebrity in person? If not, how can they be selling the item so cheaply? Authentic Sean Connery and Harrison Ford autographed photographs, to name but two, are worth a lot of money. 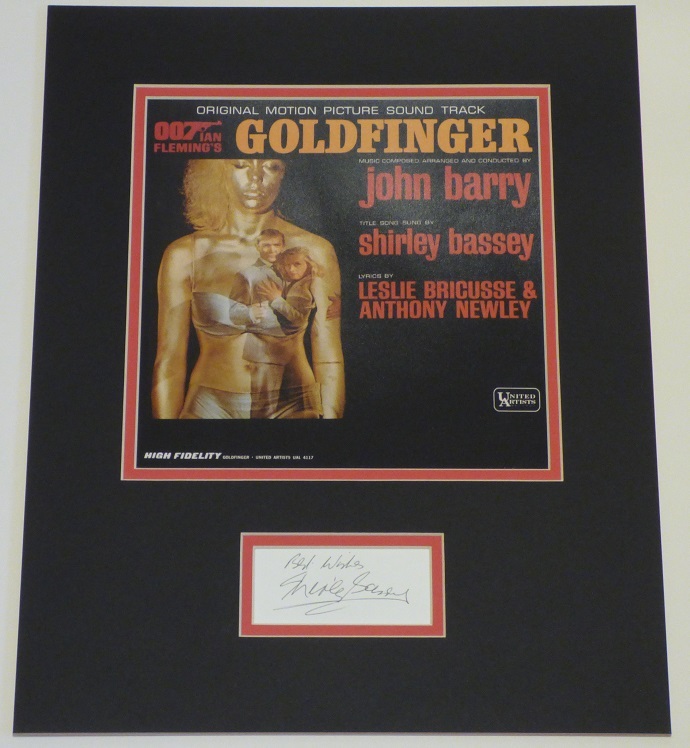 They are rare signers, and as such are highly collectible pieces. The typical retail price for a genuine item signed by one of these men in America is $250 (depending upon the quality of the signature at the item which it is one). With the relationships that we have built up across the Atlantic we are sometimes able to obtain a slight discount on these prices, and can accordingly offer them to you a little cheaper than this. An authentic Connery or Ford is never going to be worth £30 though, yet we have seen photographs that are supposed to have been signed by these stars being sold for this. We suggest that you be wary of those sellers who sell these autographs at such low levels and have seemingly never ending supplies of top stars. In all likelihood, their autographs will not be genuine. Indeed, some of the photographs that we have seen are hopeless fakes! They don not even look remotely like the authentic signature. It might well be that the seller does not realise this and has himself bought the item in good faith, but that does not change the fact that you will not be buying an authentic item. Remember many of our items come with photographic proof of the star signing - giving you the ultimate peace of mind. The internet revolution has opened up a whole new realm of possibilities for collectors. Unfortunately the by-product of this has been a growth in authenticity problems. "While it is impossible to definitely estimate the percentage of forged memorabilia, most industry experts concede that over half of the autographed memorabilia is forged. In fact, some cooperating subjects and memorabilia experts believe that up to ninety percent of the memorabilia on the market is forged." As philographers, we want to promote authentic collecting and we do not want you to waste your money on fakes. We do not want to unduly worry you, there are of course several good sellers on the internet, of which we like to think Autograph City are the best. We simply suggest that you always ask yourself two questions: Where has the seller got this item from? Is the sale/reserve price realistic or is it too low? You would be a little suspicious of someone who was selling a purported Picasso painting for a fraction of its true retail value - just exercise a sensible degree of caution. First and foremost we are collectors who want to keep the hobby clean. Please make full use of our signature database before all of your autograph purchases. You should also feel free to ask us any questions you have about collecting.